Vegan Blue Blueberry Muffins, and a new reading obsession. If you follow me on Goodreads (you should!) it will come as no surprise that i've discovered a new reading obsession at the moment. I am officially hooked on Hannah Swensen mysteries. Never heard of them? I wouldn't be surprised as i've yet to see them in a bookstore (though we have a healthy amount in my library). They're set in Minnesota USA and I have to admit, a tad twee. The murders are a bit predictable and the characters have that American charm, but lets be frank, I'm not reading for the killing, I'm reading for the baking. The mysteries are lead by main character Hannah, who owns her own bakery and cafe, the cookie jar, and peppered throughout are little gems of recipes so that you can bake the delicious morsels they're talking about. 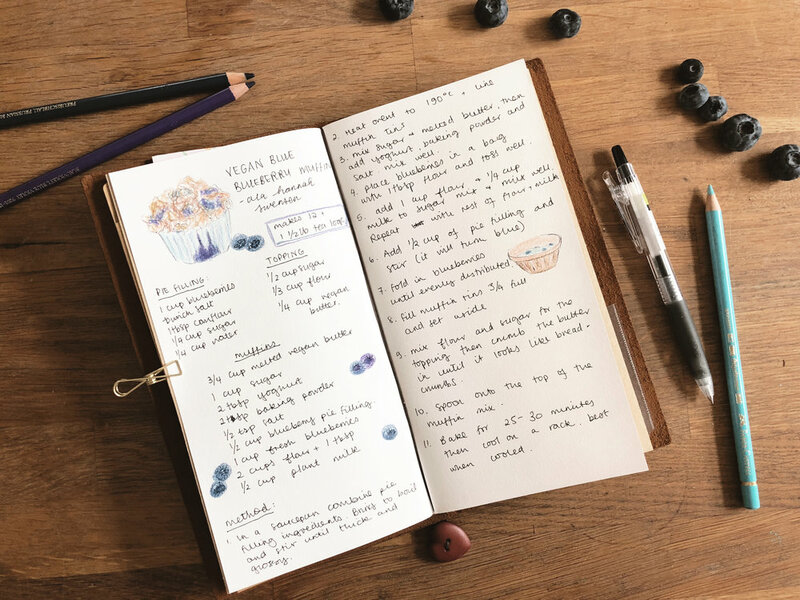 I've made a total of 4 baked recipes in the space of two weeks since starting to read these stories and I would have made more if it weren't for the fact James would have complained that there were too many choices in the house! 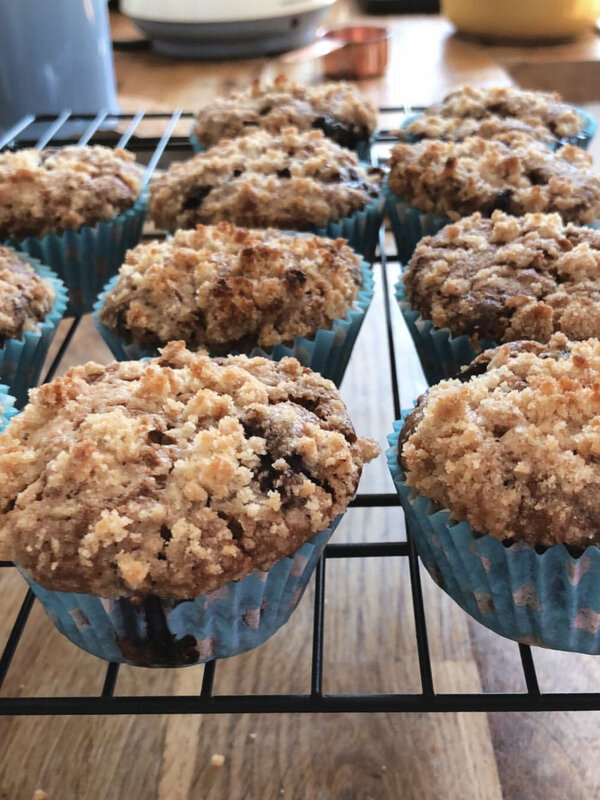 Now, since reducing our animal product consumption I have been on a mission to veganise my favourite baked goods, so I decided to do that with Hannah's recipes too. The first one I tried was her Blue Blueberry Muffins, so called because you mix blueberry pie filling into the batter. I've never actually made blueberry muffins before that I thought tasted like blueberry, as one of the characters says, they taste like a vanilla cake with the odd blueberry throughout, but these taste like blueberry! They lose their blue tinge when cooked, but they smell and taste amazing. The crunchy crumb on top adds texture and they are perfect for a mid morning snack. The recipe is a little complicated as I dont think i've ever come across blueberry pie filling in the UK so you do have to make that, but it's fairly straightforward. I have stuck to cup measures just because i have several cup measures in my kitchen and find them quite easy, if you don't have one, feel free to convert or just use your favourite tea cup as a measure.